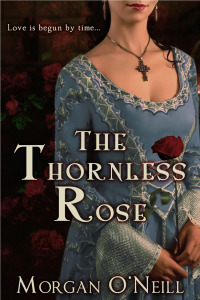 99 Cents for The Thornless Rose! 99 cents sale from August 3-16 for The Thornless Rose. Special limited time sale by Entangled/Macmillan. On sale for a limited time! 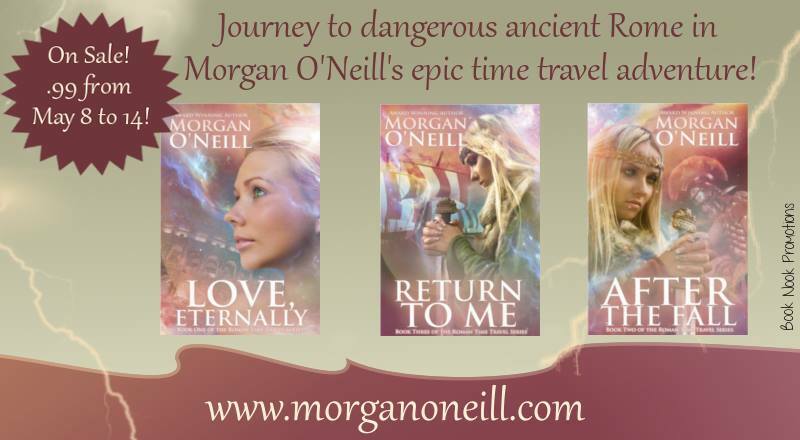 Morgan O’Neill’s medieval time travel series. Both novels only 99 cents/pence on Amazon US and UK from June 25-July 1. 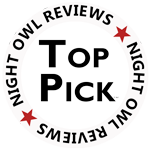 Night Owl Reviews Top Picks. 99 cents all week (May 8 through 14)— the award-winning Morgan O’Neill Roman time travel series! “The authors have fashioned some of the best charismatic heroes and heroines I have ever read in a romance.” — Night Owl Reviews. Pulling the curtain aside! 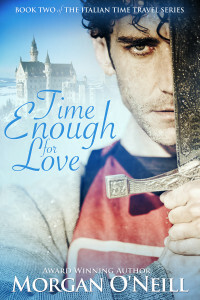 Want to know a few secrets about Jonathan Brandon, our time traveling hero of The Thornless Rose? Stop by Nancy C. Weeks’s blog—and enjoy! Big Reader Event at Night Owl Reviews in the Find Your Next Great Read Scavenger Hunt. Enter to win awesome prizes, including an e-copy of Morgan O’Neill’s The Other Side of Heaven and gift cards galore. 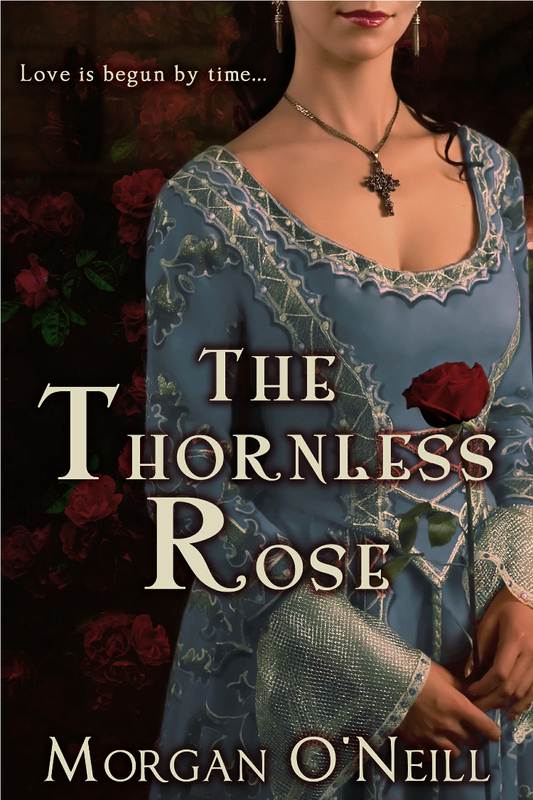 The Thornless Rose Debuted This Week! Morgan O’Neill’s new Elizabethan time travel novel, The Thornless Rose, debuted from Entangled this week. Thanks to everyone who helped with our launch. We appreciate your support.